The IvyAchievement Counselors’ Guide to Indian College Applicants is meant for college admissions professionals, Indian parents and students, high-school counselors, and anyone curious about how and why Indian students come to the United States and Canada. It contains material already familiar to each audience, but from the perspective of an American counselor who has spent a great deal of time in India. Our founder and CEO Benjamin Stern spent May thru July 2016 and November 2016 thru February 2017 in India, getting to know Indian college applicants and families. Click here for Part II (about parents’ and families’ concerns). Click here for Part III (about Indian high school). The first time I visited India, I stepped out of the airport into heat. It was some of the worst Delhi had ever experienced; much of northern India was in the midst of a heat wave. The high temperature that day was 47 degrees Celsius – 117 degrees Fahrenheit. I had been through New York City “urban island” heat waves, Death Valley in Southern California, and the Dead Sea in Israel, but this was unlike anything I had ever experienced, even in a sauna. This was the kind of heat for which fanning yourself off doesn’t work (because the air is hotter than your skin, even with any cooling effect) and you feel it in your eyeballs. Fending off eager young men offering to help with my bags, I headed to my hotel in a run-down, non-air-conditioned van that seemed to be on its last legs. There were four lanes marked on the highway running into central Delhi, but somehow that supported seven lanes of traffic. Drivers honked as a matter of course to alert others to their presence; bumper stickers on vehicles with low rear visibility read “please use horn.” It was hot, it was loud, but it was exhilarating. In November 2016, Delhi suffered some of the worst smog in its history. The second time I visited India, I stepped out of the airport into smog. 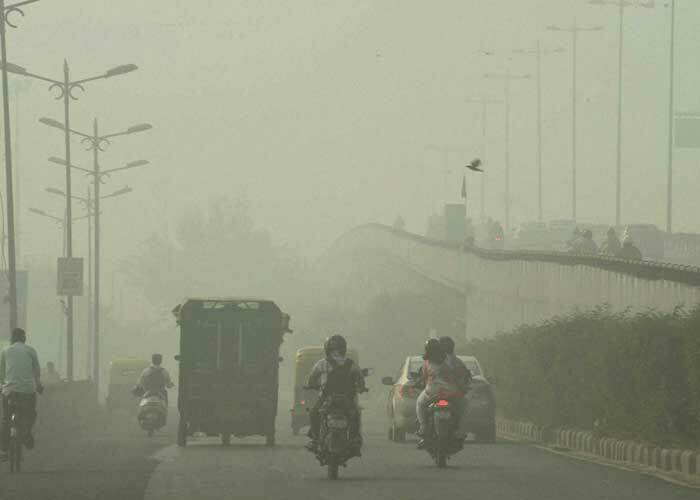 It was some of the worst Delhi had ever experienced; much of northern India was in the midst of polluted haze. For several days, the streets recalled bleak scenes from Alfonso Cuarón’s dystopian Children of Men. Visibility was limited to a few blocks. Even on a cloudless day, one would look upward and not be able to see the sky. This smog wasn’t a Los Angeles haze; it was like the evil twin brother of Karl, San Francisco’s gentle, rolling fog. Even after the smog cleared, the air remained turbid. I knew things were bad when, on a night I thought the air quality was relatively good, a friend visiting from the United States asked me, “how can you breathe here?” I longed for the clean air of Northern California. Bearing the heat and smog was worth it. I visited seven cities in India: Delhi, Mumbai, Chennai, Kolkata, Hyderabad, Lucknow, and Jaipur. My team and I conducted seminars, presented in schools, and met with dozens of Indian college applicants and parents. We encountered a diverse array of people with a multitude of questions and concerns. Overall, I spent six months in India during my two trips. 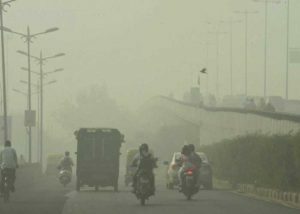 To me, the heat and the smog were symbolic of why Indian families want to send their kids—and kids want to go—abroad: the brutal “heat” of competition and the stifling “smog” of poor educational opportunities. Aside from cows, perhaps the most venerated thing in India is academic performance. In every city I visited, I saw billboards and bus-stop advertisements for various elementary and high schools, degree programs, and exam preparation classes. The top high schools have dedicated admissions offices and post at school entrances their application deadlines and the number of available seats. When you enter a school, you’ll usually see color posters, either on the wall or freestanding, with the names and pictures of the “toppers” (highest scorers) in each class and subject. Many schools post honor-roll-type lists containing dozens of names for all to see. Educational and test-prep centers are ubiquitous in major cities in India. 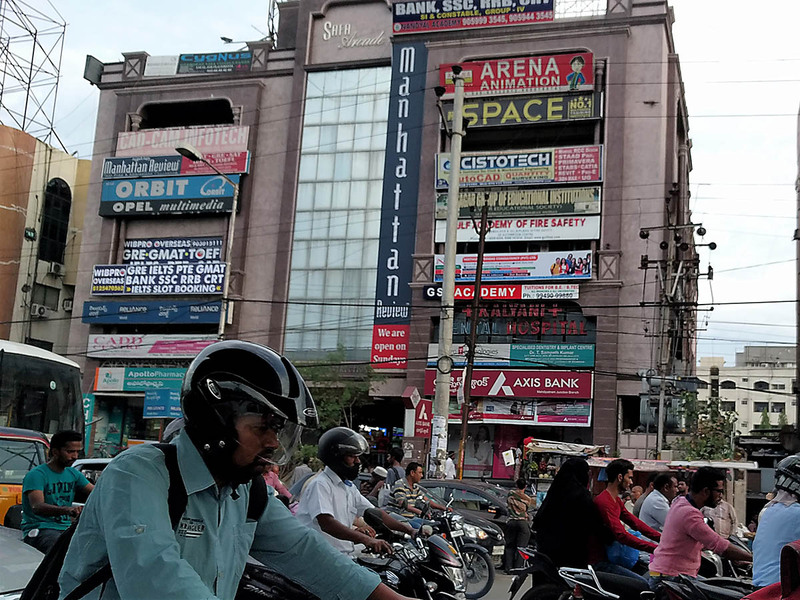 This commercial building in Hyderabad displays advertisements for three different test-prep companies. Board exam prep centers publicize their “toppers,” the highest scorers in the city, state, or country. Newspapers regularly publish articles about high-achieving students and lists of toppers in towns and cities. 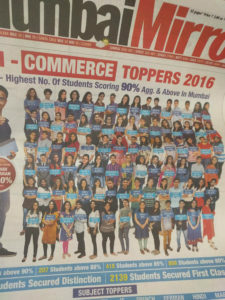 High schools and coaching centers take out full-page newspaper advertisements filled with pictures and profiles of their toppers (sometimes covering the first page) and will list prestigious university admissions. Government agencies overseeing education and even the Prime Minister will award certificates to outstanding students, and those award ceremonies will be covered by the media. Big stories in education get national media coverage. 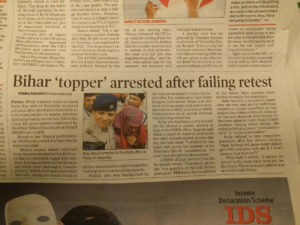 A cheating scandal in the state of Bihar made Times of India, published in Delhi. Because the stakes are so high, sometimes things get… “crazy.” Two years ago, parents and others in the state of Bihar, in northeastern India, literally scaled walls of school buildings to pass exam material to students inside. Last year, three “toppers” from Bihar were caught cheating when reporters, during the toppers’ award ceremony, asked them questions about the exam material and received nonsensical answers. The kids didn’t have to do anything to cheat; their papers were simply replaced by an official of the Bihar State Education Board, who had been bribed for 2 million rupees (around $30,000). Parents in the state of Bihar climb the walls of a school building to pass exam answers to children inside. India is set to become the largest country on Earth by 2022, with a population much younger than China’s. There are more children under the age of 15 in India than there are people of any age in the United States. The Indian university system, already bursting at the seams, will only grow more competitive. The internationally renowned Indian Institutes of Technology (IITs) and Indian Institutes of Management (IIMs) each take a fraction of a percent of candidates. The IITs, with just a few thousand seats available, require two rounds of entrance examinations: the Joint Entrance Examination (JEE) Mains, taken by over 13 million candidates a year, and the JEE Advanced, for which around 10% of those (13 million) qualify. The most coveted course of study/major at IIT, computer science, is open only to the top 500 or so of over 1.3 million applicants. And even among IITs and IIMs, there is significant variation in quality and job placement. Some new, western-style colleges (such as Ashoka University) have popped up with support from American colleges and universities, but it takes a long time to build international reputation and prestige, and in general liberal arts education is not perceived as valuable by the vast majority of Indians. While there may be a future for Indian liberal arts colleges, that future is still several years away. One issue India has is quality of life: with poor infrastructure, severe air quality issues, and extreme weather, it is difficult to attract top research and teaching talent to establish a truly international university. When it comes to convincing academics and administrators to move to India, the (actual) heat and smog don’t help! India shows a lot of potential to address these issues, but for families deciding on education for their kids in the next several years, that potential means little. Because there are few high-quality post-secondary schools beyond the IITs and IIMs, parents and students look abroad. Other than the US, Canada, and the UK, Indian college applicants also look to universities in Singapore, Hong Kong, Germany, and the UAE. There are thriving Indian expatriate communities, which the Indian government calls “Non-Resident Indians” (NRIs) for civil purposes. These families, too, look for educational opportunities in their resident countries and beyond. In Part II of the IvyAchievement Counselors’ Guide to Indian College Applicants, we will discuss particular concerns that parents and kids have when considering study abroad, especially in the United States and Canada. In Part III, we will explore the world of Indian high schools, including their curricula, methods of education, private tutoring, test prep centers, and how high schools prepare (and don’t prepare) kids for college.